A small boy abducted from Earth by alien raiders grows up to become a galactic freebooter of dubious morals and falls in with a motley collection of bounty hunters and outlaws out to stop the subjugation of the galaxy by a powerful religious zealot. 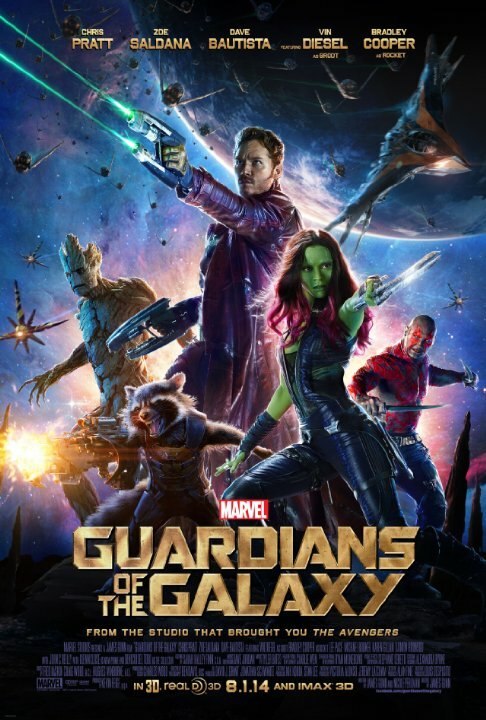 Guardians Of The Galaxy is a tongue-in-cheek space opera featuring a group of morally flexible characters in a desperate attempt to ape the charm of Indiana Jones and Captain Jack Sparrow. Unfortunately these kinds of lovable rogues have to be, well, lovable for the story to work but thanks to the hackneyed and episodic plotting, juvenile attempts at humour and unlikeable characters it's very hard to care about any of it. The resulting film is all flash and no substance and resembles little more than a rather adolescent cartoon that's just not funny. I must admit to being rather baffled as to why this film is so beloved because it's little more more than a feature length episode of TV show Farscape with a facelift. Even the serviceable but not exactly stellar Chronicles Of Riddick was better than this.